Frankly, I’m just jealous they’re located in Nashville. It’s really cool and I do hate them for it. This might be another hard post to write but we’ve already done two so I guess we’re committed to this series. There was a very minor tiff this offseason about Vandy’s coach Derek Mason “trash-talking” Notre Dame. His statement that “we play in the SEC. 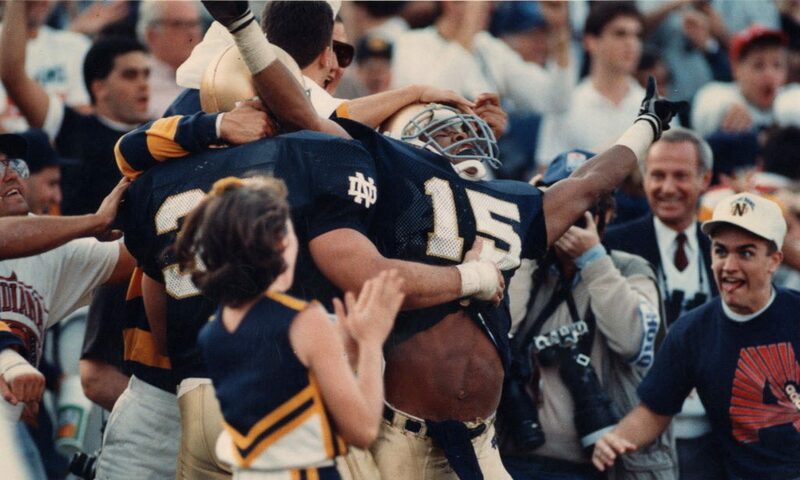 I don’t worry about going to South Bend” seemed a teensy bit disrespectful to some fans, but really the guy was just talking about taking things one game at a time. Nothing much here, but I guess it’s worth mentioning. At least it’s one more motivating factor the coaching staff can use (as if nearly losing to Ball State isn’t intrinsically enough). They’re mentioned in the conversation with ND, Stanford, and Northwestern as Power 5 schools that hold their football players to high academic standards, but their graduation rate is consistently lower. Their best known quarterbacks are: Jay Cutler, best known for giving the least amount of shits of anyone in the history of the NFL, and Jordan Rodgers, best known for being the brother of a better quarterback and for winning a season of the Bachelorette. Their last successful head coach, James Franklin, was pretty sleazy in his hiring of assistants. He explained, “I’ve been saying it for a long time, I will not hire an assistant coach until I’ve seen his wife. If she looks the part, and she’s a D-1 recruit, then you got a chance to get hired. That’s part of the deal.” Gross! Taylor Swift’s brother transferred to Vandy from ND but apparently it sucked so much he transferred back to ND. Who’s ever left South Bend for Nashville and promptly decided to come back to South Bend? They have only ever played in 8 bowl games, which would— hypothetically— make it extra infuriating to lose this game. Nashville hot chicken is one of the best foods on earth. But sometimes I order it too spicy and I get really teary-eyed. 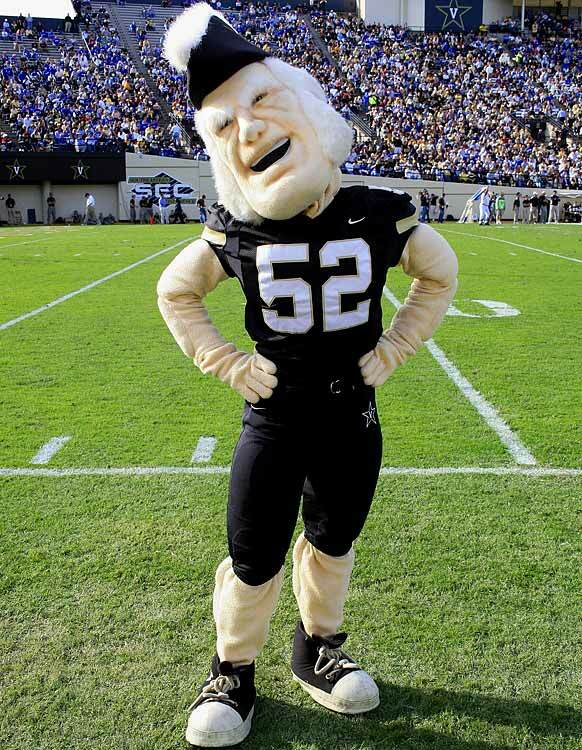 This mascot is honestly terrible. It’s literally just a weird old man suit. No redeeming qualities whatsoever, except for maybe brutalizing the student body (see header image). Name your university after a disgustingly rich railroad tycoon much? Cornelius Vanderbilt married his cousin, a woman named (this is real) Frank Armstrong Crawford. He had 13 kids. With his cousin. Lady Frank.